Heroines. Why Lucia Ferrara is no Bella Swan, Buffy or Mina Harker. 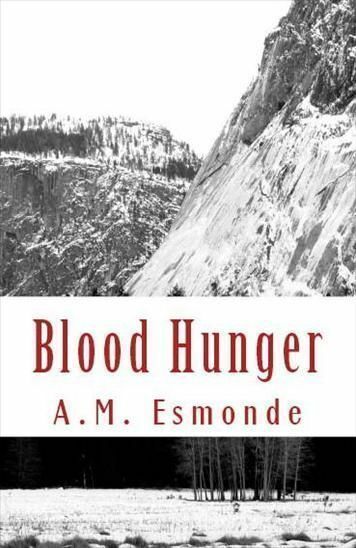 What she has got in common is that she’s a fictional character, a heroine who finds herself in an extraordinary and dangerous situations faced with deadly choices. She’s an everyday woman, just like you. No super powers, no desire to become a vampire, no longing to marry Jonathan Harker. She pouts and snorts when she laughs. Her problems are balancing her work, health, friends, relationships, men and family. Trading in Zumba, aerobics classes every Monday, Wednesday and Saturday for something a little tougher like Kalaripayat or sparing sessions, she likes to keep herself in shape. Despite being beautiful, with the looks of her mother (who she tragically lost to cancer) and celebrities Alyssa Milano and Mila Kunis, she still feels self-conscience and insecure about herself. Lucia Grace Ferrara went to a public school and then Goldsmith University, London picking up a BA (Hons) in English and American Literature. After the death of her father she has only his friend and her godfather Robert Morgan to look out for her and her boyfriend Max to rely on. However, this is her greatest flaw thinking she needs a man in her life to make her feel strong,(a replacement for her deceased father?). That said, her life changes when Max makes a find that puts him on the cover of the tabloids and she gets an unwanted slice of fame. She meets a captivating, woman named Iliana in a museum and soon Lucia is drawn into a world of mystery and deception. It’s it not long after this ‘chance’ encounter that she is implicated in a murder and has Adrian Michaels a D.I contacting her to be questioned. Little does she know that a frozen body her mountaineering boyfriend has discovered is linked to this enigmatic woman and she instinctively knows that something is not quite right. Encounters at the museums, several invitations, a masque ball, an outdoor music show and lavish dinners entwined with death, mutation and infatuation and she finds herself in a web of deceit within a rabbit hole.And her life is turned upside down when she meets a man named Stellan. Lucia is given an old book which gives her an insight to who’s body has been found and who this woman may really be. Soon she finds herself questioning her sanity and decisions as these strangers offer so much and ask for so little. Before long she is forced to go head to head with Iliana, her sisters and even Stellan. It increasing becomes difficult to remove herself from the dreamlike, perilous, situations and locations she finds herself in. There are endless actresses that would make the perfect Lucia Ferrara, personally I like the idea of Jaime Murray, but casting direction was never my forté, who would you chose? 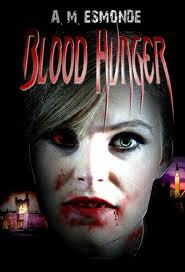 From the fall of the vampire in 1477 A.D to their return in the present day… Their first bite, will be your last! Last year I undertook a vampire concept photoshoot, models and actresses around the UK came to a ‘haunted’ castle and a museum in Wales, to capture the spirit of the novel, and portray a glossy version for film development. Think you know vampires? 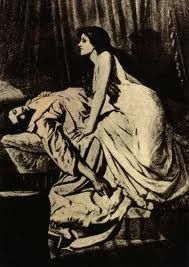 although I have stayed true the vampire origins, it is different to whats around in todays pop culture and while it has it’s own twists it’s definative of the genre. It has a shroud of Bram Stoker, Joseph Sheridan Lefanu. If I were to draw comparision to the screen, even though vampires are vampires and must be generic or they become something else, it isn’t Twilight, Buffy, True Blood or Vampire Diaries and thinly closer to The Hunger and Hammer Horror’s spirit. I’ll leave it for you to decide. 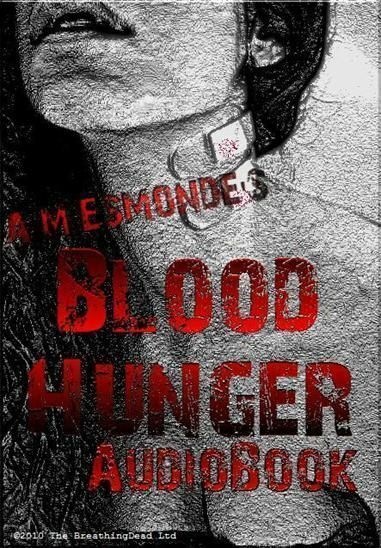 The audiobook Blood Hunger will be on iTunes, Napster, Amazon, HMV to name a few this coming June 2010.